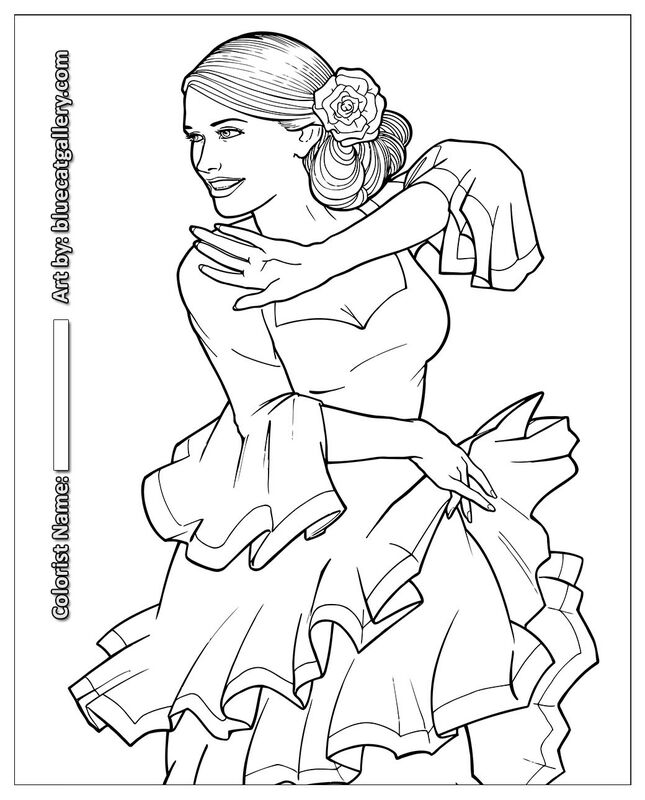 This week’s freebie is a coloring page that was a part of the Adult Coloring Book Treasury. It was fun to collaborate with other artists to make this book! This page got quite a few head nods as many of you agreed with the sentiment. I hope it gives you a giggle and you can relate to it as I do! If you were busy last week and didn’t get a chance to download the freebie, here it is! Have a fantastic week and stay sassy! Want these freebies sent straight to your inbox? 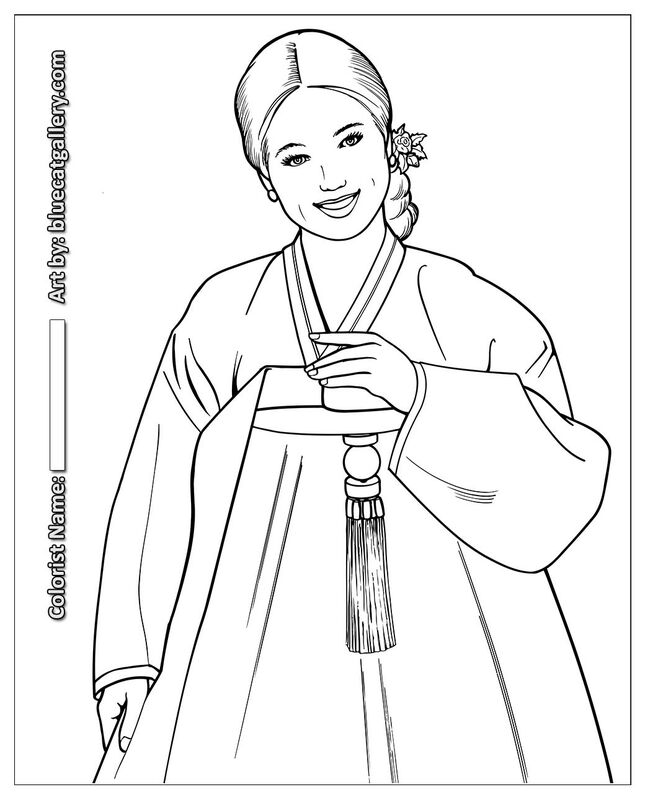 I hope you like this week’s free coloring page. I think it’s perfect if you or someone you know is turning 50. The saying was a request from one of my Patreon subscribers and it gave me such a giggle that I decided to make it available to everyone. ‘It would make a humorous card or you can even frame it and give it as a gag gift. Do you know what else today is? It’s mah-bert-dayyyyyy! So you can be sure I will be celebrating all weekend. Heck, I might even stretch it out all month because... why not? I’m not sure what the weather is like where you are, but here in upstate New York, it’s currently snowing like crazy. NOT cool, New York, not cool. I’ve even heard people referring to this season as Sprinter. I am so ready for sunshine and tulips and bumblebees. In my hopeful thinking, I hand lettered this little saying and turned it into a coloring page for you. I hope your weather is nicer than mine and that you enjoy coloring this page. Shop my sale: 50% OFF! I need to make room for my new products so there’s a clearance sale on most of my products. NO COUPON CODE NEEDED! This month’s color palettes are inspired by the vintage look and with some throwbacks with a retro feel palettes included. Use these to help guide your color choices in your creations and feel free to share these or pin them to your Pinterest boards. If you liked these color palettes, you may also enjoy these Metallic Color Palettes. You can find these and more all on my Pinterest boards so you can share and pin straight from there. ‘If you’d like content like this sent straight to your inbox, subscribe to my newsletter which always includes a freebie. I’ve had a super busy week with making some new products for my etsy shop and celebrating my nephews birthday. He’s 4!!! I can’t even believe it. I was making this as a pic to show the set of patterned digital paper I’ll be selling and I said to myself, “ Self, this would make a badass coloring page”. So here ya go! You can grab the link below. ?? Feel free to copy/paste the LINK to this page if you’d like to share it anywhere. Credit is always appreciated but not required. Get the full book at on Amazon or the PDF version on Etsy. ​Copyright 2018. Cristin April Frey. All Rights Reserved. I’m a total journal junkie and collect so many notebooks and bujos that I decided to start making some of my own. Here’s the first one I made. I hope you like it and be sure to,share your journaling layouts with me on social media at @CristinApril. You can grab a copy of your journal here. I need to make room for my new products so I put a clearance sale on most of my products. No coupon code needed! Here’s a sneak peek of what’s coming to my Etsy shop. Want these Freebie Freydays sent to you by email? Do you struggle with finding the right shades when you’re coloring metal? To make it easier for both of us, I put together 10 color palettes you can use as a reference when you’re coloring. I included silver, gold, chrome, copper, bronze, and rose gold. So just pick your fave and get started! Follow or subscribe to Vitruvian Art who created easy-to-follow tutorials on coloring metals. You can find her coloring videos on YouTube and Patreon. Do you follow me on Patreon? Be be sure to share your colored masterpieces with me in my Coloring with Sass Facebook group. I'm so glad you want to know. But before I spill the beans on how subscribing to my Patreon perks will keep you in coloring bliss, let me first tell you why I decided to go this route. It's because I have a dream. (Too MLK Jr-ish?) Okay then, let's just say I have a goal. A huge goal. And this goal is to make a living from my art. Not even a good living.. just enough to pay the bills and cover my coffee and wine habits. But I want to also be able to get to know my fans --- my TRUE fans. The ones that love my work and want to see me succeed. I want to build relationships with them and reward them for supporting me. I want to be able to hire them and give them jobs helping me to do the tasks I don't have time for so I can create new art. It it sounds crazy but from my current Patreon supporters, I'm already able to pay a couple people to help me out behind the scenes. A monthly subscription to all my new work! Before that scares you off, think about everything you may already have a monthly subscription for... Netflix, cable, mobile phone, printer ink, gym membership, AAA, Ipsy... so why not subscribe to a monthly coloring service where you get to choose how much you want to pay and get coloring pages to download, print as many times as you'd like, and all before they're released to the public to buy. To sweeten the deal even more, I just added a bunch of new rewards and decided to focus all of my work into my Patreon creations. The subscriptions start as little as $1/month and go all the way up to $30/month. Are you ready to see what rewards you'll get? ​I'm so excited to show you, but first, keep in mind that after you choose a subscription level, it is SUPER easy to change it. You can easily move up or down a level anytime you like and you will only ever get charged on the 1st of each month. You can also cancel at any time with NO penalties. You can even pause your subscription if you're a little short on dough one month. Worst case scenario is you subscribe to a level, absolutely hate the rewards, and cancel before getting charged on the 1st of the month. Yep! I'm that nice! Access to patreon-only posts with the ability to comment and give me input through polls, feedback, and surveys. Monthly hand-lettered saying that you can use as wall art, mobile wallpaper, on social media, etc. Monthly printable calendar or planner page - this may be in the form of a calendar, a to-do list, grocery list, or any type of planner page that will help you get organized - this is a must have if you love planners. Monthly Sassy Sisters printable digital stamp in a high quality PNG file that you can use in card-making, scrapbooking, crafting, mixed media, or just print and color it. Your name acknowledgement credited in all of my future YouTube videos and any future coloring books. Monthly digital papers that can be used as backgrounds, in card-making, scrapbooking, mixed media, etc. How the #@$% do I sign up, you ask? Im so glad you want to know. Visit my Patreon page here and choose your level of sass. My review rating: 5 stars - based on creativity of pages and original hand-drawn artwork, having pages that are easy to color for any level colorist, single-sided pages, and price ($3.99 when I purchased it). My review rating: 5 stars - based on interesting patterns, having a variety of easy to difficult pages to color, crisp clean lines that aren't blurry, single-sided pages, and price ($3.99 when I purchased it). I wanted to color this gorgeous drawing done by my aunt (Amanda Lee Condict) but I wanted to add some flair to the fabric. I scoured Pinterest and YouTube looking for some tutorials and inspriation and found nothing that sparked my interest. So, I realized I needed to create my own tutorial because if I was looking for it, surely others were too. As always, I ended up getting sidetracked and the printed coloring page sat on my desk for two days. I would look at it and think, 'oh yeah, I need to work on that' and then scurried off to do something else. Then it hit me. I knew what it had to be. For some reason, this outfit just screamed 'leopard' to me. I immediately went to Google and searched for leopard prints. I stared at them and studied them and then printed out a swatch for reference. I chose a couple of my yellow and brown-toned pencils. From there, I just started coloring and hoped for the best. Below is my step-by-step process that is far easier than I thought it would be. I'm not an expert colorist so if I can do this, then so can you! Using your lightest color, lightly fill in your base layer. I used Yellow Ochre (PC942). I used a light pressure and colored with the side of the tip instead of directly placing the tip straight down on the paper. So, essentially, your pencil is more parallel with your paper instead of being perpendicular. ​This allows you to cover more surface area and have a lighter touch. Plus, you'll have less lines in your coloring. If I wasn't coloring leopard spots, normally I would choose my second darkest color to start shading. But I decided to color the spots first so when I did the shading, the spots would get shaded too. I used my third darkest color here which was a light brown. It's called Light Umber (PC-941). I scribbled some random spots and tried to keep the majority of them the same size. I made subtle differences in the shapes so they weren't too uniform then I went back and added smaller spots in just a few areas. I used a medium pressure with my pencil for this. This was the fun part. I used my darkest brown which was Dark Umber (PC-947) and colored the rings around the spots. I used a hard pressure with my pencil for this part and kept a nice pointy tip by sharpening my pencil after coloring a few rings. When I was studying the leopard spots, I noticed that the rings weren't closed and they had a blobby random look to them. I started by coloring one ring and made part of the ring thick and part of the ring thin while following the shape of the spot. Before moving on to the next ring beside it, I looked to see where there was extra space in between the ring I just colored and the one next to it, and that's where I colored in the thickest part of the ring. That's how I kept them from touching each other. However, in the folds of the fabric, you want them to look like they're touching each other because you want it to look like the fabric is overlapping itself. After coloring the rings, my hand was cramping so I got up to get some more coffee. I couldn't find my mug. During the search, I realized it was still in the microwave from the last time I reheated it. Cursing my unreliable memory, I heated my coffee again and sat back down to finish coloring. Now, I grabbed my second darkest color which was Goldenrod (PC-1034) so I could start the shading. This particular image was nice because it already had the hatching lines of where the shadows should be. I colored with a medium pressure over those lines and also around the edges of the fabric where it would be curving away from the light source and where it would be bunched up (such as underneath the belt). The final step was to go back to my darkest brown that I used for the rings (Dark Umber, PC-947) and color in the outermost edges of the shadows I just colored in Step 4. I used a hard pressure just inside the lines and a lighter pressure as I moved away from the line. I added some red to her belt and gloves and left the skirt blank so I could show you how to do this technique in my video. I hope you found this tutorial helpful and show off your leopard colorings! You can share your work in my Facebook group, The Sassy School of Coloring or tag me on Twitter or Instagram using @cristinapril. Here's an all-in-one graphic you can pin or print for later! If you want to request a specific type of coloring technique or tutorial, please let me know! You can tell me here or in the comments below. Did you miss the live Facebook video? My husband joined me and we did a Couple's Coloring live video tutorial over on my Facebook page. It's no longer live but you can still rewatch it to see me finish coloring the skirt in leopard print. We also colored some galaxy leggings and more. Click here to watch! To get some free coloring pages that are fabric and fashion-themed from a variety of artists, check out my other blog post Fashion, Fabrics, & Freebies. You can use these to practice your leopard prints on! ​You might also like my free leggings practice page! ​Until next time... stay sassy! Have you ever done something you're embarrassed of? What if that embarrassment was available for the world to see? When I published my first coloring book a year ago, I felt like a rockstar. Famous, even. I was a celebrity in my own mind. I mean, there was no red carpet, no awards, and certainly no cushy bank accounts. But I felt accomplished. Fast forward to a year later and that rockstar status has become my embarrassment. In just one year, I have improved my drawing, my techniques, updated my materials, and have learned from my mistakes. I am making far better art than I was a year ago. And now that amateurish published book has become my embarrassment. I have argued with myself if I should go back and fix my embarrassing published book or just leave it and keep making new art. The perfectionist in me sided with fixing it. I want all of my sassy colorists to truly love my work. So not only am I redrawing all of the original pages, I'm adding 10 additional pages to the book! I hate to think of what my other books will seem like to me a year from now. Anyway! Since a new book needs a new cover, I need your help! If you like coloring, please consider entering my contest. And if you have done something embarrassing and have a chance to fix it, do it and rock it even harder this time! I can't believe I'm doing this but if you want a chance to own my embarrassment before the revised version takes over, click here. Would you like a chance to color the cover of my next book? Join in on the fun and get coloring! and color it. Here is a link to a high quality PDF if you prefer that instead. 3. Take a clear photo or scan and post it to my contest album in My Colouring Mood Facebook group NO LATER THAN March 19th, 2017. You will have to be a member of the group and request to join here. 4. I will choose my favorite from the submissions to be on the cover of my book. If I have a difficult time deciding, I will allow the public to vote on my favorites. 5. You may enter multiple entries. The winner* of the contest will receive named acknowledgment inside the book, an autographed copy of the book, and a printable PDF copy of the book. Two runners up will receive a PDF copy of the book. *Winner of the contest will need to scan their colored page at a minimum of 600dpi and email to me along with a signed release form within 1 week of announcing the winner. If this cannot be completed, the winner's entry will be forfeited and the second place winner will be notified. When I wanted to color pages that had fabrics and fashion, I didn't have to look far for some pages to use. And best of all, they were free! I've collected them all to share with you. Each link will take you to the artist's website where you can download and print gorgeous pages. Make sure to post them in the challenge over in my group, Sassy School of Coloring, on Facebook for a chance to have your colored page on our banner. See how I colored some of these below! Jade Elizabeth/Color Me Forum - Use the code "fashionista" at checkout for one free page (expires April 2017). I used Prismacolor and Copic markers to color this adorable angel page by Molly Harrison. I used Prismacolor and Copic markers to color this sweet fairy page from Molly Harrison. I just love how her dress turned out. I used Prismacolor and Copic markers to color this cute snow fairy with her owls by Selena Fenech. If you would like tutorials, tips, or ideas for coloring these, be sure to sign up for my Sassy Coloring Club newsletter!